Below are assets for the press to use. If you need additional information, please contact the author Sally B. Savage at sally@afairday.com and/or one of the local marketing/PR contact listed below. Sally B. Savage grew up on a working farm in mid-coast Maine (United States) in the 1960s. The rural setting gave Sally a deep, long lasting appreciation for rural dwellers and a profound love for animals. This love has never left her and she continues to raise and care for a flock of sheep, miniature horses and chickens, just to name a few. Sally has found much of her artistic inspiration from the observation of animals. One of Sally’s latest project started as a side line to her love of horses. 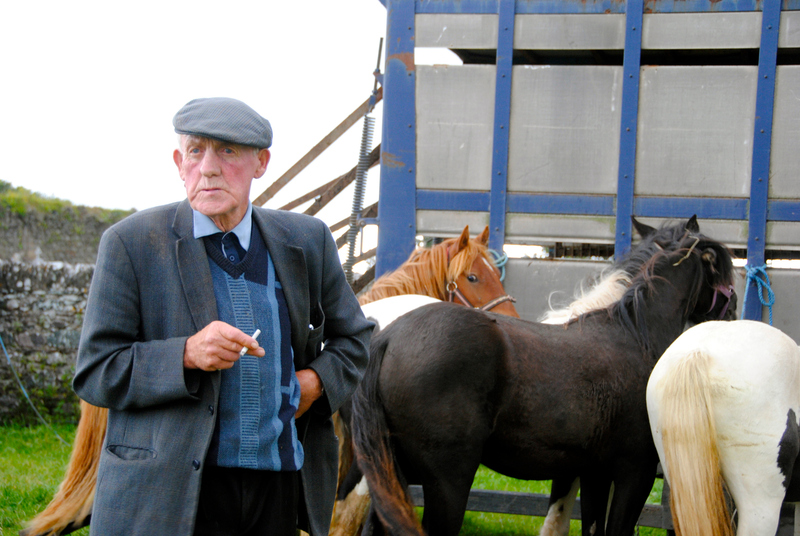 She spent several years photographing the local horse fairs in County Kerry, Ireland. 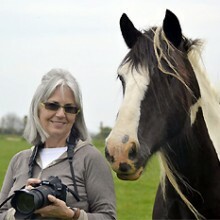 During one of the recent Puck Fairs, she exhibited some of her photographs (of the fair, the horses and the horsemen) and noticed a lot of interest in the work. 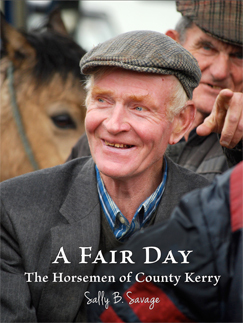 So for the past two years, she has been crafting her first photography essay – A Fair Day: The Horsemen of County Kerry. On August 8, 2013 the book launching will be at the Red Fox Pub in Glenbeigh, County Kerry and it goes on sale at Puck Fair August 10-12, 2013. Born on the coast of Maine and raised in Belfast, Savage has an intimate understanding of the day to day life on a working farm. 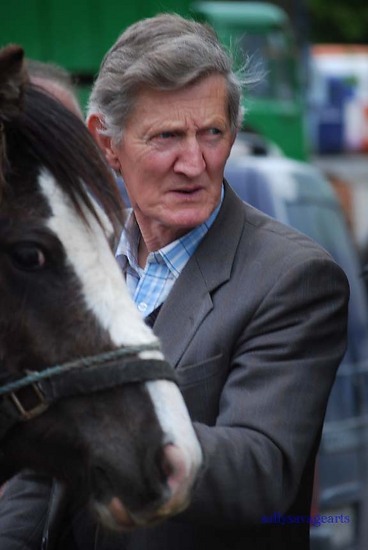 At the same time nostalgic and unsentimental, her photographic journey into the lives of the Kerry horseman offers a window into a traditional way of life that is vanishing in Ireland. Initially spurred by her own recollections of childhood, Sally B. 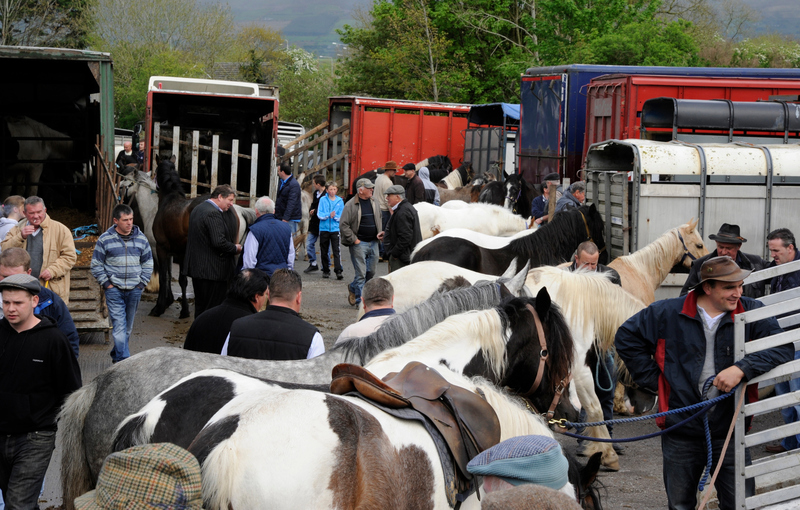 Savage has attended dozens of horse fairs in Ireland over the past eight years. 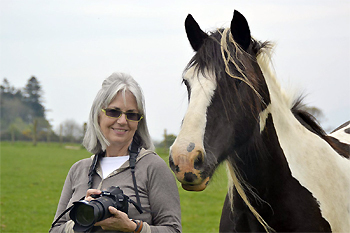 A persistent observer, camera in hand, she has recorded and portrayed a world which she reveres for its timeless connections among people, horses and place. 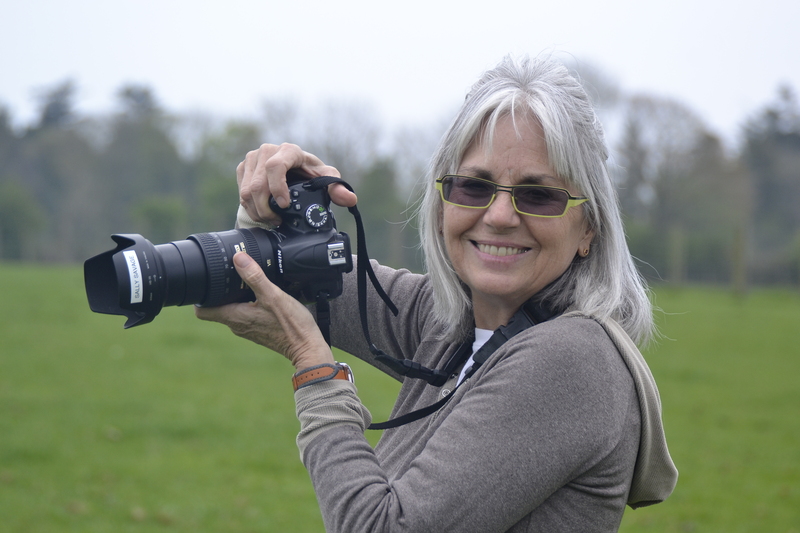 With a keen eye for action and subtle gestures, she is able to capture and tell the story of the enduring relationships of the horsemen with one another, with their animals and their beloved countryside. Savage focuses on the horsemen’s devotion to a traditional way of life that is quieter, slower and simpler, while acknowledging the many changes taking place around them. A life that is guided by age-old customs, carved out by the labor of one’s own hands and a destiny more self-made. 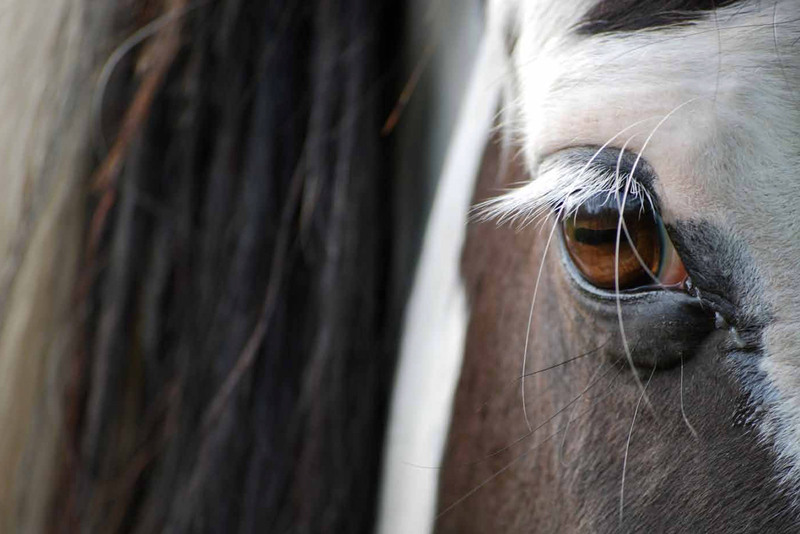 In this region of rural Ireland, farmers, traders, breeders, trainers, tack vendors and blacksmiths come together to do what they love—talk and trade, and revel in their horses. 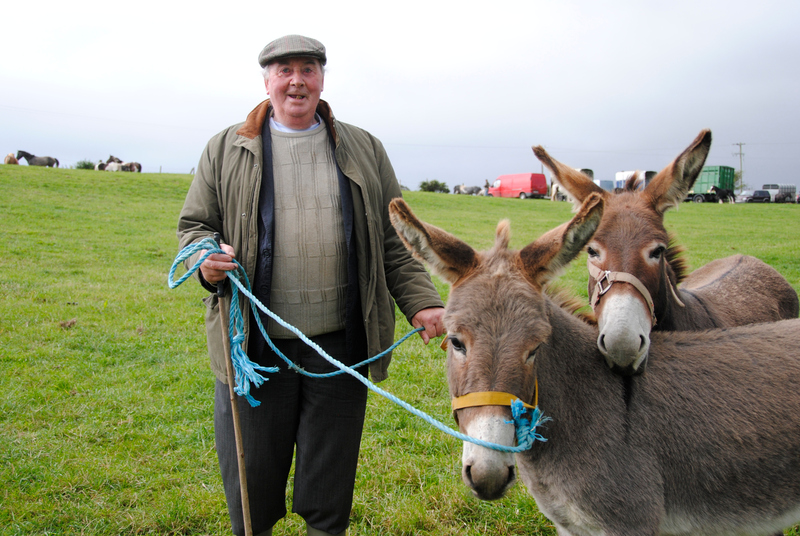 Here, the seasons revolve around and remain marked by the Horse Fairs of County Kerry. “This is a unique record of an ancient but little-documented local tradition that is part of the fabric of rural life hereabouts. Kerry’s colourful horse traders, their livestock and their wares are memorably portrayed in Sally Savage’s compelling and affectionate photographic essay.